The famous crępes recipe ingredient! Yes! Famous Grand Marnier "Cordon Rouge" is a Liqueur, flavored with orange. Distilled essence of bitter orange, sugar and cognac make up the blend. 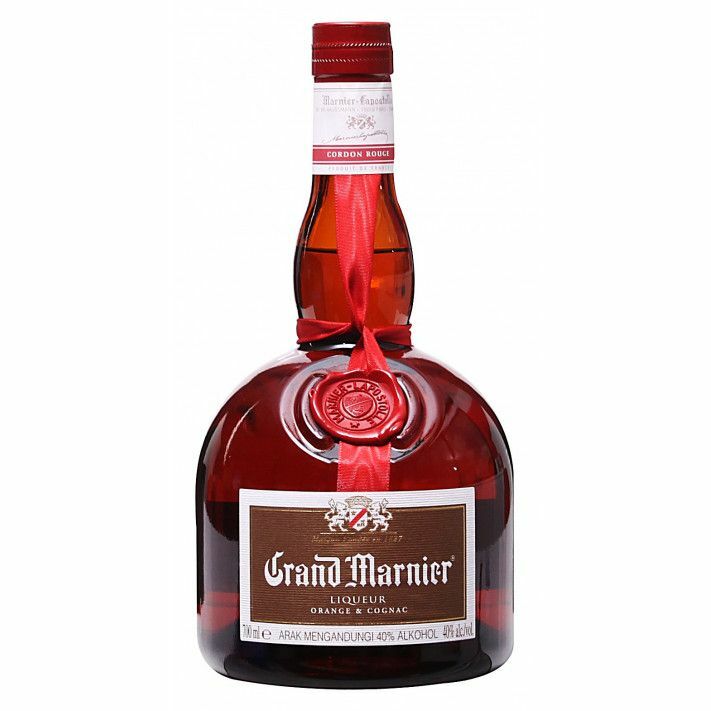 Grand Marnier Cordon Rouge is at 40% ABV alcohol (70 Proof in UK, 80 Proof in US). The blend was created by Alexandre Marnier-Lapostolle in 1880.